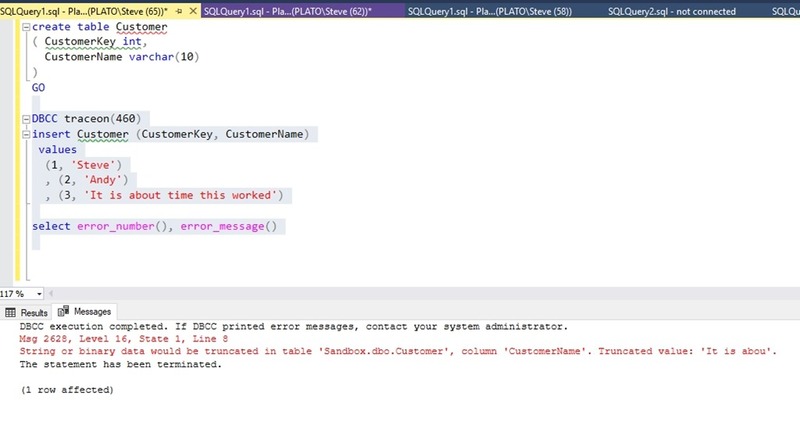 If you read the Microsoft White Paper on SQL Server 2019, there’s a gem buried on page 17. It mentions a trace flag, which some of you might appreciate. As you can see, the plee I made has actually been heard. I don’t know if they listened to me, or if the collective complaints over the year grew to the point that this got fixed. In any case, thank you, Microsoft. This is a very nice enhancement. Excellent Steve! This will be an improvement. Now…if ONLY they would put “Find And Replace” in the MS Access SQL window!